Today marks three years since my mother-in-law’s death. In the three years since we lost her (too early), we’ve watched our girls grow, and we moved — for the first time in our married life — to live near family. I still think of her nearly every day. We talk about her as a family, often. We talk about how we will see her again in heaven someday; we talk about foods she enjoyed and times together. I miss her most on Sundays, when my father-in-law and brother-in-law join us for lunch. I think of how she’d be in the kitchen with me talking, while the guys are outside having guy time. I think about how she would be so proud of how the girls are growing up and how she would so enjoy that we finally live near family. I’d be making my homemade rolls much more often — her favorite. And she’d likely be joining us for all the girls’ school events and celebrations. But with all that missing, I hadn’t anticipated the searing sense of loss I would feel earlier this spring when we gathered with family to celebrate my daughter’s baptism. It’s rare for us to attend church with family, so when we sat down, I felt surrounded and loved; my husband’s aunt and uncle, seated behind me, had greeted the whole family with warm hugs. Our family filled one row and spilled into another; with such an abundance of loved ones, my girls couldn’t decide where to sit. Yes, of all the days I missed her, I missed her most on the day of Cami’s baptism and Grandpa’s 75th birthday. She was a praying grandma, a proud-of-her-lovelies grandma. She was a snuggle-up-with-books Grandma, a make-crafts-together Grandma. 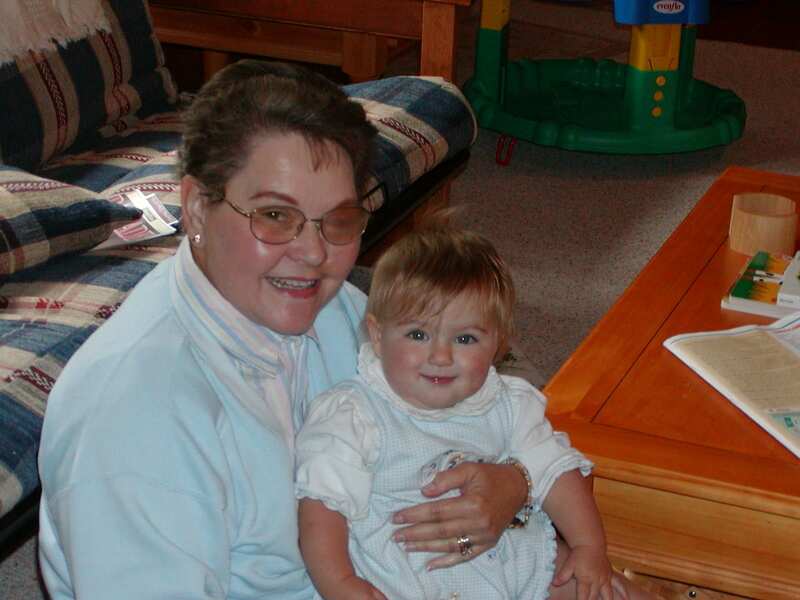 Most of all, she was a tender-hearted, faith-filled grandma. Had she been at Cami’s baptism, she would have been a tears-rolling-down the face Grandma, a scoop-you-up-in-a-big hug-even-though-you’re-sopping-wet Grandma. She wanted to live to see the girls grow up, wanted to be present for all the milestones. And she is, I know she is, in our hearts, and looking down from heaven. What a lovely remembrance, Becky. Sounds like you were very fortunate to know her… and I’m sure she felt fortunate to have you join the family! As always Becky your words touch my heart. Well said Becky…. Thanks for sharing. There is joy in knowing she is safe in the arms of her Savior and yet, knowing the special times on this earth that she would love but will never share – always bittersweet.